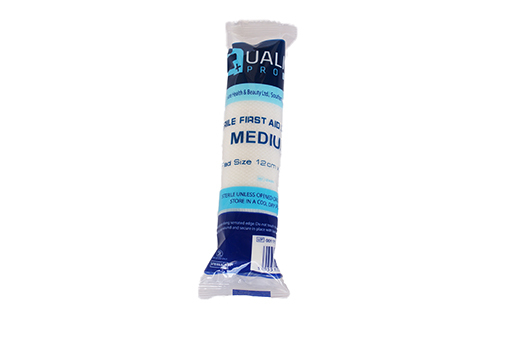 These sterile dressings with conforming stretch bandage, are ideal for almost all first aid emergencies. HSE compliant, they are perfect for refilling all HSE first aid kits. Include an attached, sterile, non-adherent pad to place over the wound and, a long conforming bandage to secure the bandage in place. Available flow-wrapped or boxed for easier visibility in first aid kits and cabinets. Individually wrapped to ensure sterility.